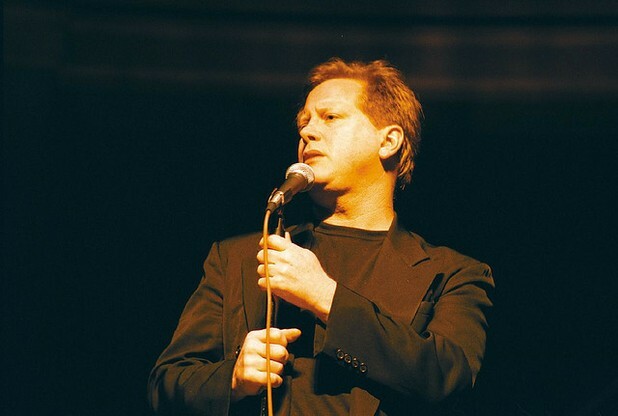 Darrell Hammond won’t hide his demons anymore. Revealing some dark secrets in his new book, ‘God, if You’re Not Up There I’m F-cked’ Hammond says that he’s struggled with mental illness and substance abuse for years and that he was drinking and drugging so much on the set of SNL that at one point he needed to be taken away to a hospital in a straightjacket. Tortured by an abusive mother throughout his childhood Hammond started cutting by the age of 19 and his actions had him in and out of psychiatric wards over the next years of his life. Once on SNL Hammond kept a bottle of brandy in his desk at all times and described doing ‘obscene’ amounts of cocaine at work. He used the brandy to control the ‘disturbing images’ that would enter his head and said that when the alcohol didn’t work, he’d cut instead. A stay in rehab brought him a short-lived sobriety that was curtailed a relapse in 2009. He writes, “I had the brilliant idea I should try crack” and so during his 14th season on SNL Hammond was spending much of his time in a Harlem crack house. Now clean and sober once again, Hammond is working with Will Ferrell on the website ‘Funny or Die’ . Speaking about his decision to be so open about his past, Hammond says "I don't feel ashamed of falling down, because I got hit by a Mack truck. The fact is, I kept trying to get back up, and then I did."